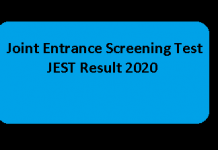 NEET 2019 Eligibility Criteria: Aspirants who have completed the MBBS programme are eligible to take the NEET PG 2019 exam. Other than this, there are other eligibility criteria which the applicants required to fulfill in order to apply and take the NEET PG 2019 exam. NEET PG 2019 Eligibility Criteria includes the details related to age, qualification, internship, etc which is provided below. Candidates who take and qualify NEET PG 2019 exam get admission into PG courses like Master of Science (MS), Doctor of Medicine (MD), and PG Diploma Courses. Based on the NEET PG 2019 marks, applicants will get admission in the prestigious universities of India. NOTE: Applicants who are willing to take the NEET PG 2019 exam must go through the eligibility criteria provided below. If any candidates will not meet the NEET PG 2019 eligibility conditions, he/she will not be allowed to appear for the PG Exam. Here we have provided the NEET PG 2019 eligibility criteria in detail. 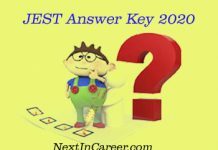 Candidates must go through each point carefully before applying for the NEET PG 2019. 1. MBBS degree As per the eligibility criteria of NBE NEET PG, aspirants must possess MBBS degree or provisional MBBS pass certificate recognized as per the provisions under Indian Medical Council 1956. 3. Registration Certificate Candidates must possess the permanent or provisional registration certificate of MBBS qualification issued by the Medical Council of India (MCI) or State Medical Council (SMC). 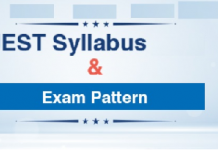 As mentioned in the NEET PG eligibility conditions 2019, candidates must carry the MCI/SMC registration certificate at the NEET PG exam centre on the day of examination. 4. Aadhaar Card Candidates are required to have their aadhaar card since its number will be required at the time of registration form filling. In case, if some candidates who have applied for the aadhaar card but have not received it yet, can enter the 14 digits enrollment ID. 1. For Foreign Medical Graduates Indian citizens or Overseas Citizens of India (OCI) who have completed their Primary Medical Education from medical colleges outside India, should have qualified in the Foreign Medical Graduate Examination (FMGE) conducted by NBE. They should have completed their internship or likely to complete their internship on or before March 31, 2019. The medical graduates will be required to carry the FMGE 2019 pass certificate issued by NBE on the testing day along with NEET PG 2019 admit card. 2. NEET PG 2019 Eligibility Criteria for Jammu & Kashmir aspirants While candidates belonging from Jammu and Kashmir are not eligible to participate for NEET PG 50% All India Quota seats. However, students who were nominated by the Government of India under central pool seats for MBBS course in medical colleges in J&K are considered eligible for admission to All India 15% Quota seats, as per the guidelines in NEET PG eligibility criteria. NOTE: As per the eligibility specifications of NEET PG 2019, likewise last year, candidates from Andhra Pradesh and Telangana are eligible for 50% All India Quota seats. These states started participating in 50% AIQ scheme. Who are not eligible for NBE NEET PG 2019? Candidates who do not satisfy the eligibility criteria, will not be eligible for the admission process. While, if any ineligible candidate appears for NEET PG 2019, his/her candidature will be canceled at the time of admission. As mentioned above, candidates must complete their rotatory internship on or before March 31, 2019. If the applicant is unable to finish the internship within the time period, then he/she will not be eligible. Aspirants who will not be able to possess the MCI/SMC registration certificate will be ineligible as per the NEET PG eligibility criteria. NEET PG Application Form 2019 has been released on 31st of October 2019 in online mode. The NEET PG 2019 exam took place on 6th January 2019 in computer-based test mode. The time allotted to complete NEET PG will be 3 hours 30 minutes. NEET PG result is expected to be announced in the last week of January 2019. So, if you have any queries regarding the NEET PG 2019 Admission Process, then please comment on the section below. 3 Who are not eligible for NBE NEET PG 2019?